The stock market has had a great run ever since the financial crisis, and if you’ve been following my work for any length of time, you’re probably sitting on some serious gains. Or what if you’re worried that a major drop is imminent and don’t want to put any new money to work? Or what if you are only just at the point where you have some money to start investing? I recommend you consider dollar-cost averaging. The idea with dollar-cost averaging is relatively simple: You buy equal dollar amounts of the same investment on a predetermined schedule. Please note the italics in that last sentence: Dollar-cost averaging IS NOT buying a fixed number of shares on a regular basis. In fact, it is quite the opposite. Let’s say you’ve decided to invest $10,000 in XYZ Corp.
Rather than deploying the entire amount at one time, you might instead opt to purchase $1,000 of XYZ stock on the first day of each of the next 10 months. What’s the logic behind this approach? Well, you can expect just about any stock’s price to vary substantially over a 10-month period. So, when the price is higher, your $1,000 will buy fewer shares; when the price dips, your $1,000 will buy more shares. In other words, buying equal dollar amounts over time allows you to reduce your risk to a stock’s short-term price movements, automatically encouraging you to buy more when prices are lower and less when prices are higher. It also removes much of the emotion from the investing process. You’ve already committed to buying the stock at regular intervals, regardless of market conditions. And because you’re doing this automatically, it doesn’t require more than a few minutes of your time (if any at all!). Obviously, buying bits of stock as the market continually rises would work just fine… even if it meant you missed out on some additional upside by not putting as much in as quickly as possible. But what about the other scenario — the one where the market really zigs and zags, moves sideways, or even goes lower over a long period of time? 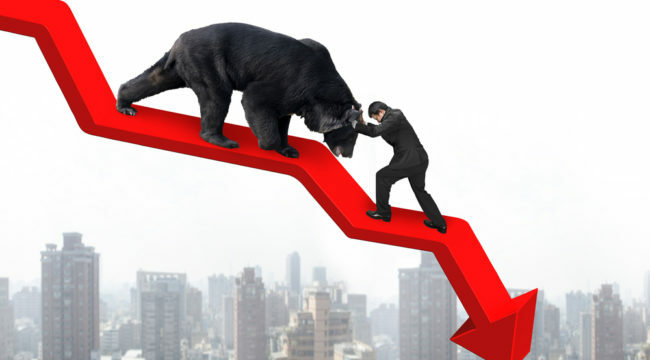 Well, I looked at what would have happened from June of 2007 through June of 2012 – a period that contained one of the worst drops in market history and ended before the massive rally that began in 2013. From my chart outlining this period, you can see that, despite huge declines and rallies, the broad U.S. stock market index was still lower than it was five years earlier. And yes, if you’d had very good timing, you could have clearly been making a fortune during every one of those major moves… but what if you didn’t have perfect timing? Or worse yet, what if you had bad timing? If you had simply followed the approach over that five-year period — investing an equal amount of money in the S&P 500 ETF (SPY) at the beginning of every single month – you would have made a total profit of $9,017! That’s a 14.8% return over the same timeframe that saw the market actually fall 14.7%. While you would have bought some shares when the market was at its peak, you also would have forced yourself to buy a bunch of shares when the market was much lower than it is today. And obviously if you had continued to follow the same strategy through today, you’d be sitting on a HUGE pile of profits. Now, I continue to believe that careful timing and superior stock selection will give you even BETTER returns than a simple dollar-cost averaging approach with a broad-market ETF. But it’s worth noting that you can apply dollar-cost averaging to individual shares just as easily as you can with broad-based ETFs. In addition, you are also using this same general concept whenever you reinvest your dividend payments or make regular contributions to the same funds in a retirement plan such as a 401(k). The critical part is doing something that gives you a good chance at long-term investment success.